Rafic Hariri was born on November 1, 1944. In the 1970s, he started a construction business. He became a multi-billionaire when he signed a contract with the Saudi King Khaled which made his company the main construction firm used by the Saudi Royal family. In the early 1980s, he returned to Lebanon and began his political career. He made a significant contribution to the 1989 Taif Agreement that ended the Lebanese civil war. In 1992, Hariri became the prime minister of Lebanon and played an important role in its recovery from the war. Hariri served as prime minister from 1992 to 1998 and then again from 2000 to 2004. He resigned from office during the political crisis caused by the extension of the presidential term. 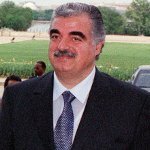 On February 14, 2005 Rafic Hariri was killed in a terrorist attack when explosives equivalent to approximately 1.800 kilograms of TNT were detonated as his motorcade drove through Beirut, the capital city of Lebanon. Another 22 people died in the bombing. According to results of the UN investigation, Hezbollah was responsible for the assassination.